I bought this print of our old Highland Park neighborhood about five years ago. Finally found a place to hang it! Also, Kyle brings home the best flowers. 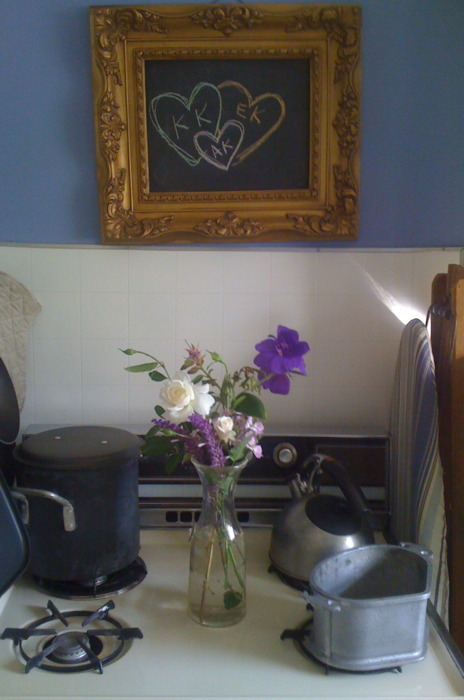 This little area above our stove makes me happy. Look what Kyle did. 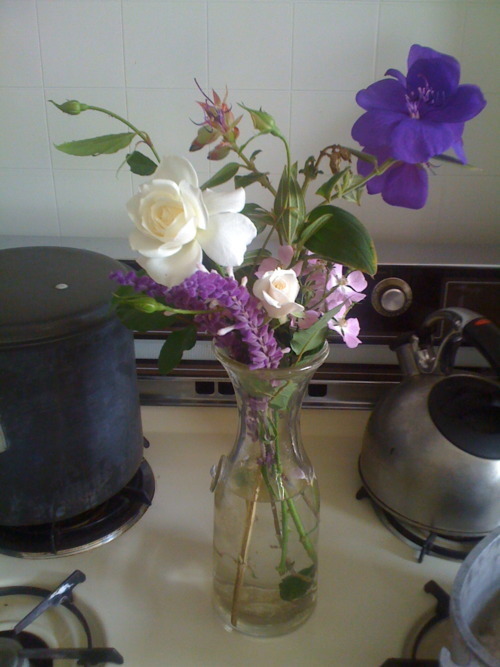 He picked these flowers out of our yard and put them in a vase. 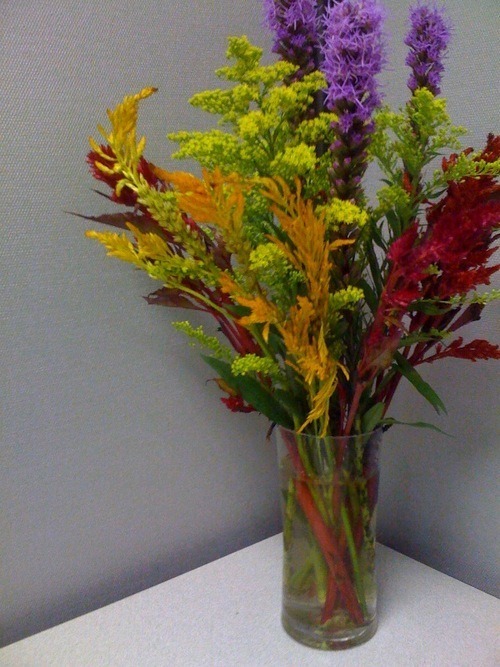 I’m so impressed with his flower arranging skills. Plus he cleaned the livingroom and kitchen while I was sleeping. I woke up to a completely spotless house. It was like a dream. He’s so good at stuff. I oughta go do something productive, now.